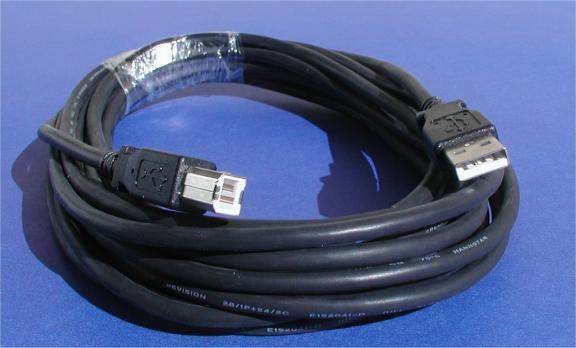 USB (Universal Serial Bus) Type A to Type B 15 Ft cable. Type A Male connector on One Side and Type B Male connector on Other side. Very popular with many USB Devices. Used to Connect Most USB Printers, USB Scanners ETC..